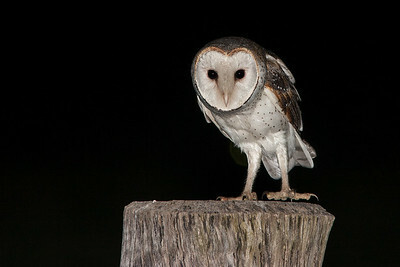 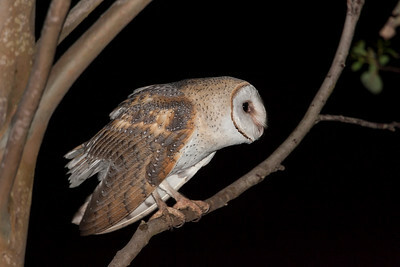 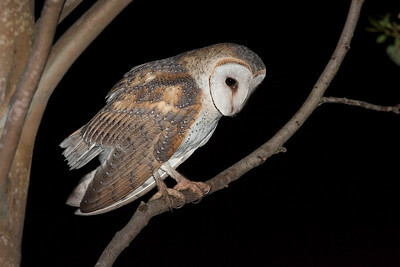 A quite hunter of the nights, much more common than its cousin the Australian Masked Owl. 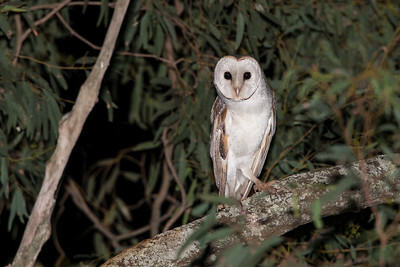 A barn owl perched close to the nest tree. 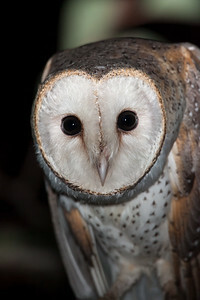 Portrait of a night owl. 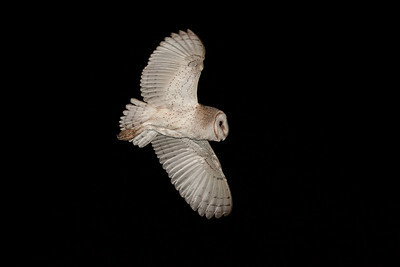 A barn owl checking me out. 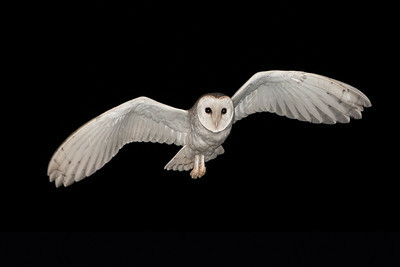 A barn owl on its hunting perch. 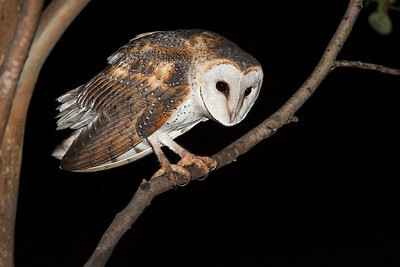 A barn owl looking at potential prey. 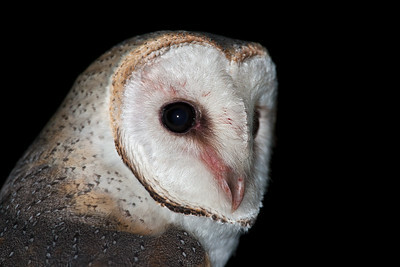 A barn owl looking at me. 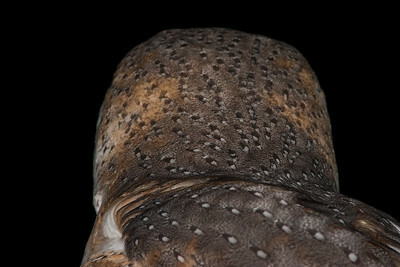 Close-up of the head plumage of a barn owl. 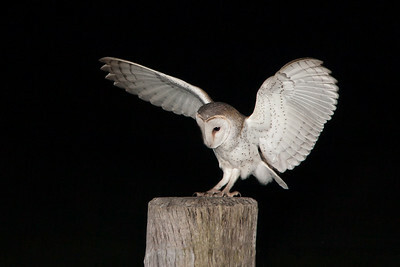 A barn owl lands on a fence post. 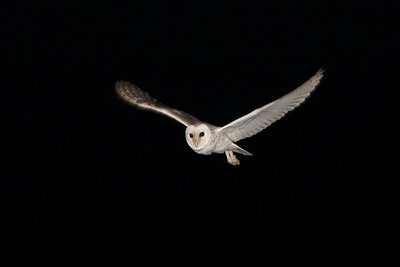 A barn owl in flight. 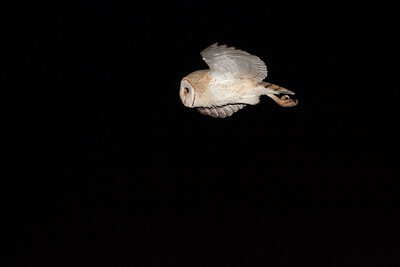 A barn owl flying towards me.